Top enterprises all over the world know and trustthe SYSTIMAX name. It’s the only complete,comprehensive single-source structured cablingsolution available that covers every inch and everyconnection from the workstation, Wi-Fi access point,DAS remote, IP camera or other connected device, allthe way to the data centre. SYSTIMAX is a comprehensive platform of advancedcopper and fibre connectivity, with automatedinfrastructure management and high-efficiencyinterfaces that help you put more connectionsinto increasingly crowded data centre spaces. 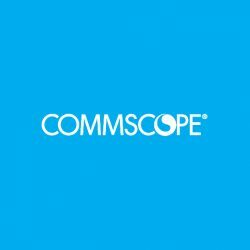 Andbecause SYSTIMAX is a CommScope solution, it’sbacked by a reliable, responsive global network ofmanufacturing, logistics and expertise. Thanks so much for the wonderful opportunity that we had experience two days ago. What a mind blowing experience to meet and talk directly to people and companies that you had invited to come into this summit. I was so blessed to be part of this as this sort of events doesn’t happen so easily . I have learnt so much in those two days and I would like to extend my sincere thanks to you and your team for giving me the opportunity to part of this great event. On behalf of SBS Electrical Ltd, thank you! Need more information? No problem.